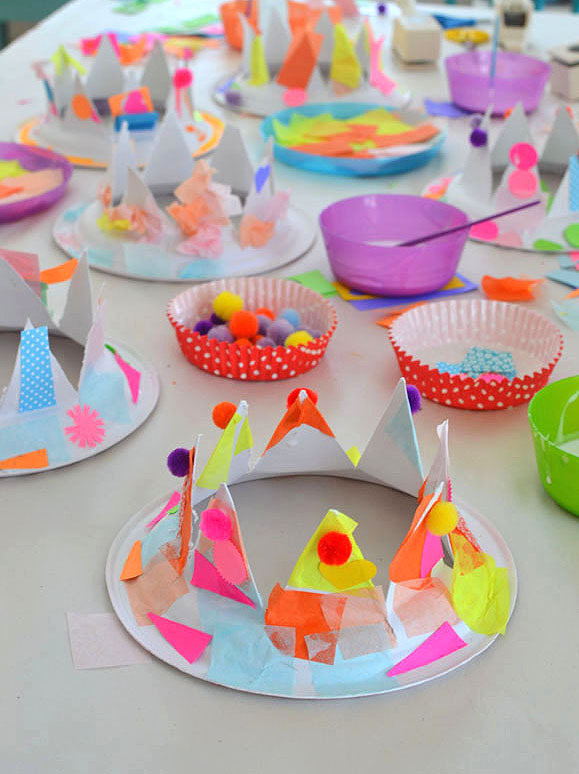 Over here, we are kind of obsessed with making party hats. 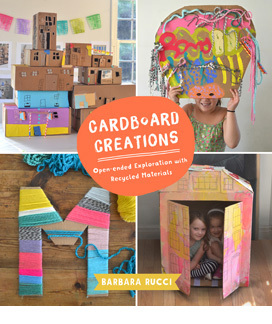 It’s such a great open-ended activity that allows for artistic freedom while opening the door to imaginary play. Plus it makes them feel special. 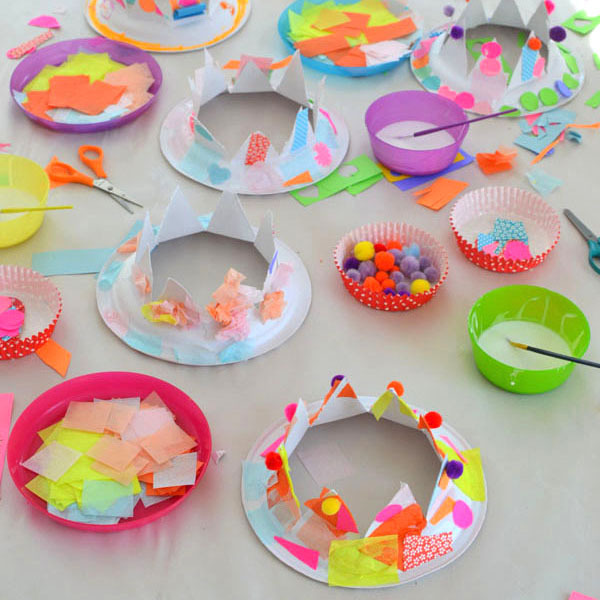 The idea for these paper plate hats came from the whimsical and playful blog Kid Play Do. If you have five extra minutes, hop over to their blog because it will put a smile on your face! It’s one of my favorites. 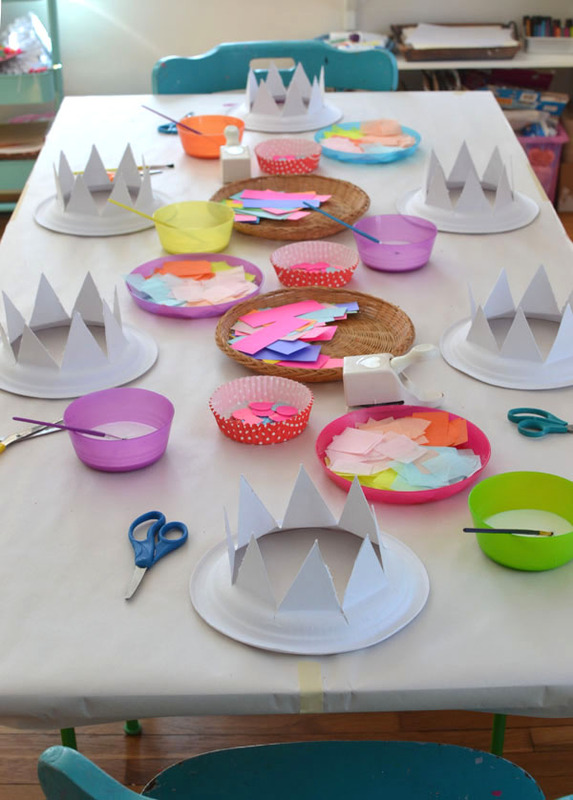 For art class, I set out the pre-cut party hats, some collage material and scissors so that the children could cut their own shapes (along with heart and scalloped circle paper punches which they LOVE), and some glue in a bowl with a brush. The pom-poms came out at the end for the last bit of embellishment. 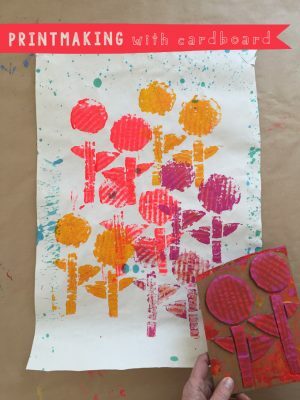 Read Kid Play Do‘s blog post if you want to see how the paper plates were cut. They did it a really cute way with pinking scissors! 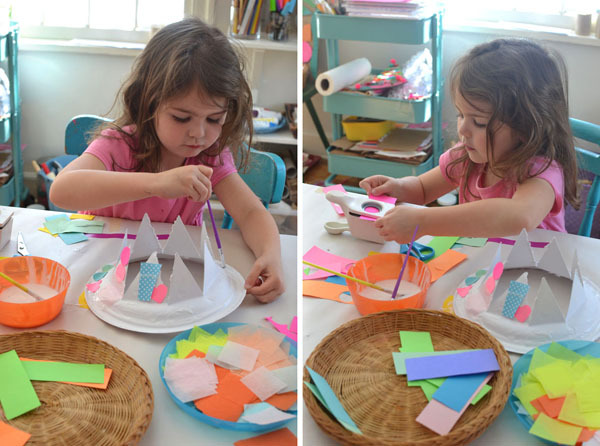 This would be such a simple and fun craft for a birthday party, too. There is a little prep work involved, but then the rest is all child-led. 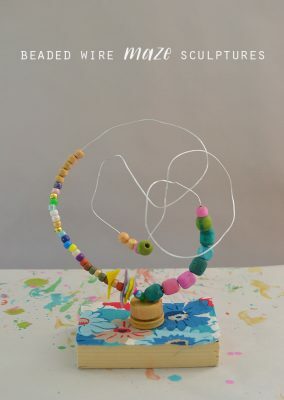 There is some drying time with the glue, so maybe for a party you put out glue sticks instead and maybe an adult helps with a glue gun for the pom-poms. PS: To foster creativity in your home, here are my favorite Beginner Art Supplies, and my Favorite Craft Supplies. PSS: Follow me on Instagram to see what I’m up to at the moment, and Facebook for tons more creative and artsy ideas. 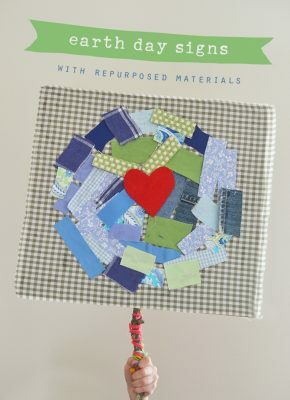 I agree that using what you have in the house is the best kind of crafting. great idea from Kid Play Do! !